Shift affects online, offlinemom and pop, and suppliers Han YangMarket Insight ConsultantKantar.. Success requires consumer insight,along with six key marketing factors Natalie BabbageExperts S.. Agencies must navigate challengeswith creativity and integrity Patrick XuCEOGroupM & WPP, C..
Research confirms ways to buildhigher equity, prices, market share William WeiHead of Client Se..
1. Gain insightLearn about Chinese innovation through first-hand experience in China. ..
Once seen as a copycat nation,China is becoming the copied Enbo WangPartner, Greater ChinaOrgan..
Brands participate by helpingconsumers fulfill their dreams Scott KronickPresident & CEOOgi.. Mobile commerce campaigns offernew brand-building opportunities Gareth EllenAPAC Planning Direc..
One Belt, One Road: With Technology, It’s Never Been Easier to Build a Global Brand .. Willing to pay for quality, consumers embrace membership models视频平台É.. Links brand mission to national development goals创新科技领导..
Omni-channel marketing cultivates young generations以全渠道营销&.. Penetration leads to greater market share Sales of fast moving consumer goods (FMCG) rose 3.6 p.. But finding them can be challenging Chinese consumers are connected. China had 751 million inte..
FMCG spending grows rapidly Two distinct competitive dynamics influenced the rapid growth of Ch.. Liberalization should drive ad spending in certain sectors Media spending, sluggish during the ..
More Chinese brands become innovative, in many categories Trend benefits brands, consumer.. Innovative brands, seen as different, command a premium Rising consumer confidence unleashes sp.. Brand Purpose rises in importance for Chinese brands Helping improve society links with n..
Purchasing power, interest in brands rise in lower tier cities Market-driven brands gain moment..
Chinese brands find growing consumer awareness abroad Acceptance varies by consumer age, catego.. Multiple media mix is the best option for reaching Chinese Multi-screen use correlates with bra.. Customized ads, not bombardment, sways consumers Optimization depends on great advertising ..
Market-driven brands surpass SOEs in rate of value appreciation But branding, not ownersh..
Carriers add more international destinations Following a 3 percent decline a years ago, the air..
Brands introduce premium and healthy offerings Baijiu, China’s traditional clear liquor, ..
Consumers seek quality sports and leisure attire Apparel remained one of China’s most vol..
Low penetration magnifies the opportunity The baby care category, which includes one brand, the..
Brands also build presence overseas Banks enjoyed a better year, rising 13 percent after declin..
China’s focus on testing and achievement powers growth Education again topped the list of.. Premium prices raise sales value The food and dairy category increased 12 percent in brand valu.. Trend impacts both large and small appliances The home appliance category surged 50 percent in .. Newcomer brands offer vitamins, dietary supplements Driven by middle class consumer concern wit..
Low category penetration promises great potential Insurance rebounded, increasing 21 percent in..
Young people influence product choice and shopping venue The Jewelry Retailer category began to..
Rise of e-commerce inspires rapid growth and new partnerships The logistics category appears fo..
Prospects improve later in the year The 7 percent decline in the oil and gas category followed .. 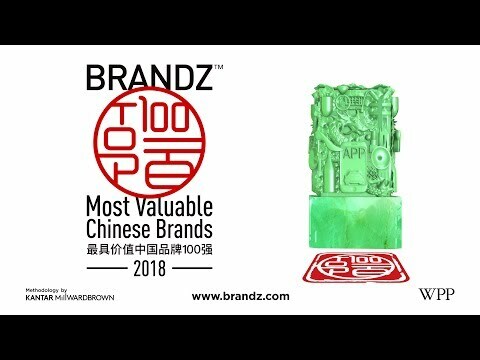 Politics and premiumization impact sales Geopolitics and premiumization impacted the value chan..
Brands match scale with profitability Chinese government initiatives to increase affordable hou.. Integration of online, offline, data, and logistics signals new era On Singles Day, China..
Brands initiatives focus on content and virtual reality The technology category, which includes..
Acquisitions add new capabilities and customers With a 57 percent increase in value, the travel..
Government opens category to mixed ownership The three state-owned brands that comprise the tel..
Brands focus on expansion and experience Despite intense competition from both local and multin..
Government continues incentives for clean energy vehicles The car category expanded in value, b..